Unsigned Mesh Necklace and Earrings, Very Very Madmen! Beautiful Mesh and Rhinestone necklace with rhinestone embellished tassel. This necklace and earrings set is so cool! Something you might see Joan wear on Madmen! It is nice and light, easy to wear and in excellent scarcely worn vintage condition. 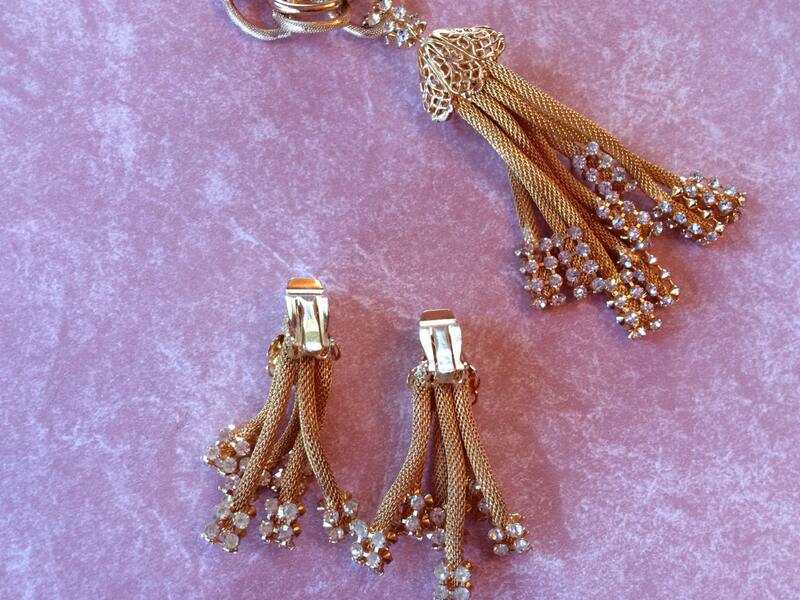 Necklace is 22 inch opening, 5 inch tassel, dangle earrings are 2.5 inches long, Wow so much movement.